n November 9th, 1965, a Northeast power failure effected, New York State, Connecticut, Massachusetts, New Hampshire, Rhode Island, Vermont, New Jersey and even parts of Ontario, Canada. It was said that over 25 million people were caught in the early evening blackout which lasted until the morning hours of the following day. The cause was a wrongly inserted relay switch in a power station near Niagara Falls. 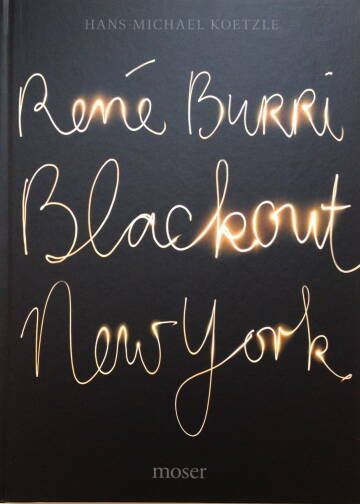 Rene Burri ventured out into the darkness with a handful of films to photograph and the resulting images have been published in a limited edition, Blackout New York from Moser books. 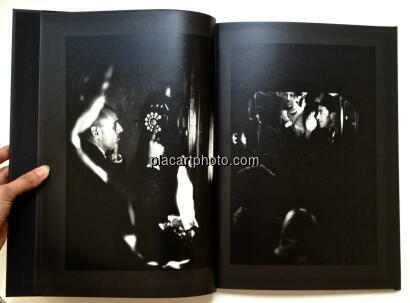 Photographing only by flashlight, candle light, or car light, Burri pointed his camera at the stranded commuters as they try to deal with the situation. Some gather in Grand Central to wait it out while others pack onto buses and cabs to find their way home. There is the suggestion of nervousness but panic isn't present. Looking through Blackout New York, one starts to notice how small amounts of light - providing the minimum amount of information - spur the mind to fill in the bigger picture. Burri's slow black and white films, push-processed to build density in any middle-tone and highlight in the exposure results in super contrasty images that are often abstract. In one only a hand holding a lighter to the dial of a phone is recorded surrounded by vast amounts of black. The opening image features several people barely registered on the film, mostly described by flashes of white from their shirt collars. It takes us a few moments to adjust to these pictures. 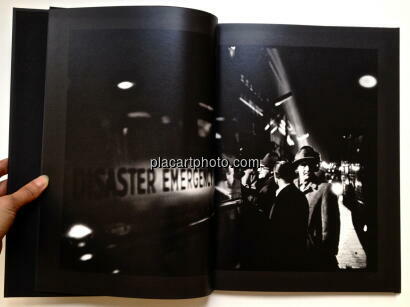 In a funny way this book is also partly about photography's technical limitations under these extreme conditions. There is a fine line between underexposed images that succeed despite their flaw and those that succumb to it. In this edit there are a few images that just aren't resolved enough to merit inclusion - the aforementioned opening image for instance. When there is enough of a record made, the images glow from various light sources and people appear like apparitions out of the velvety black. 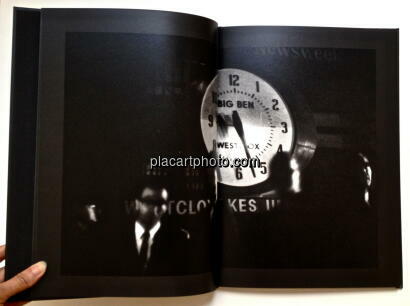 Nicely printed, Blackout New York reproduces the images as mostly double page spreads which means they run across the gutter. This design choice is distracting as the images, due to their limited detail, need fewer hurdles for us to jump over to decipher them. At Arles last year I heard that Burri had an installation in a blackened room where the viewers were given flashlights to view these photographs. I didn't see the show but I can guess that would be an interesting way to experience these photos. In the dark with a slight sensation of unease resting on your shoulders. Your flashlight in front of you darting here and there, trying to pick up what little there is to see.